Hero's new 15PS Xtreme has taken a while to show up. But it's the most powerful 150 they've ever made, the best looking too  though that's not saying much thanks to the Mumps Xtreme it began life as. So the question really is two-fold. 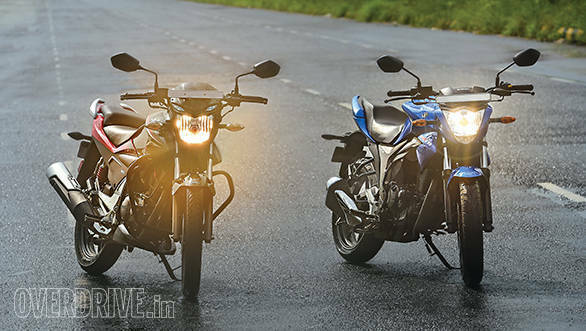 Where does the Xtreme fit in to the 150cc segment? And where is Hero at in terms of engineering and ability to make good motorcycles. 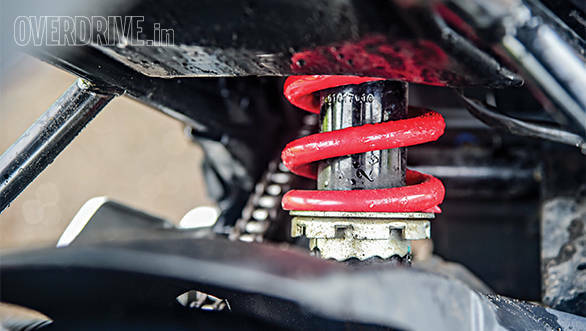 The first Xtreme's styling was difficult to grasp. Thankfully, this one is a lot more like a skinny sport naked. The tank has become sleeker and is not as bulky as the original Xtreme and there are a dozen other minor changes in design that you might miss if you don't look closely. In fact, when compared to the regular Xtreme, every single plastic panel, from the front fender to the engine cowl is all new. The front end is the most different. It's lost almost all of the original bikini fairing. The only bits left are the tiny wind deflector and the bits of plastic require to mount the new LED pilot lamps. 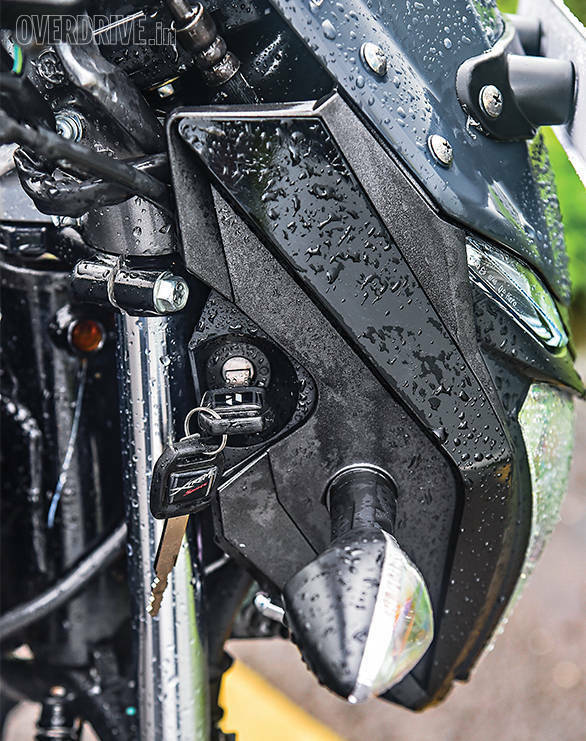 What will annoy is the placement of the ignition key slot in the side of the fairing. It makes no sense to put it there whether for form or function. No doubts then that the Xtreme is the best looking sibling of its line. Sort of like Tristan in Legends of the Fall. Trouble is the Gixxer is Chris Hemsworth. That's younger as well as more muscled. 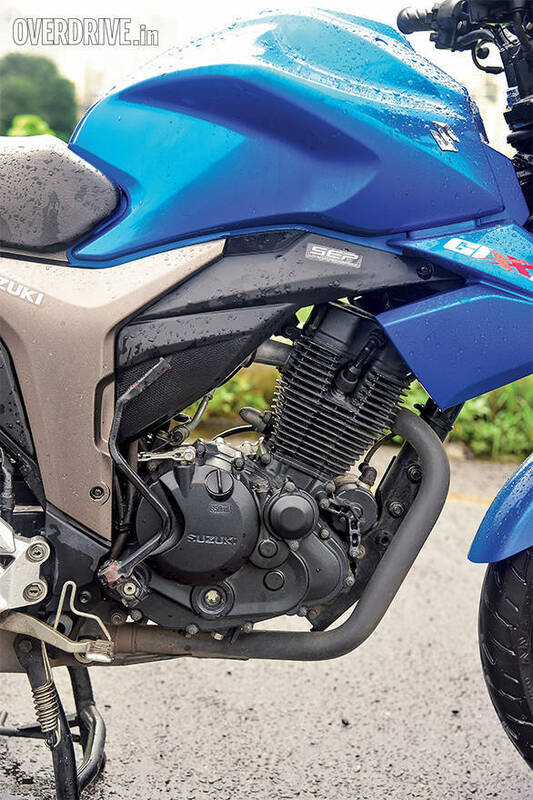 Between the sculpted fuel tank and the fat 140-section rear tyre, the Gixxer looks up to the minute and unfortunately, it makes the Xtreme look like a refreshed old design, which it is. The Suzuki further amps up the advantage by offering all of the current kit  a comprehensive all-digital instrument cluster, fatter forks, more preload adjustibility, monoshock. The Xtreme cannot win this. The spec for both is similar. They both have telescopic forks, preload adjustable rear suspension etc. 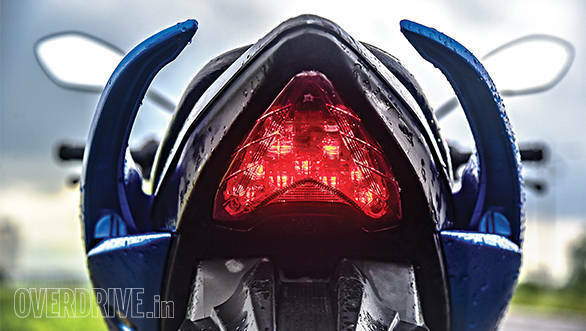 But the Gixxer's setup is more modern, more stiff  the roads have gotten better since the Xtreme first came out. This makes a big difference. On good roads, at steady moderate pace, there isn't much of a difference. But over bad roads, under hard braking and when flicking fast from side to side, the stiffness gives the Suzuki an elegance and control-ability that the Hero cannot match. The Xtreme's skinnier tyres mean you use less effort to enter a turn but the Suzuki's vastly better and it's not an advantage that adds up. 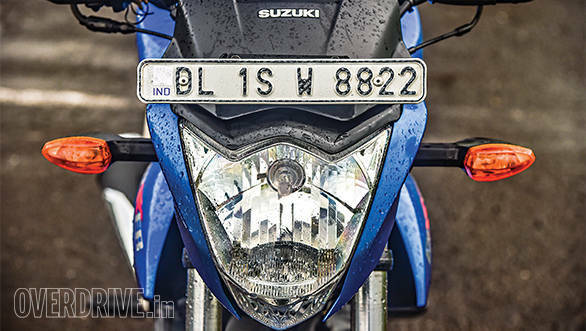 Then the Suzuki lays it on thick with stickier tyres and a more capable chassis. The softer setup should give the Hero a ride quality advantage but instead of plush, it just feels older. The Gixxer isn't stiff enough to make you complain but the Hero is soft enough to nosedive on the brakes. In these wet conditions, we couldn't get repeatable braking numbers but the Gixxer definitely stops quicker as well. 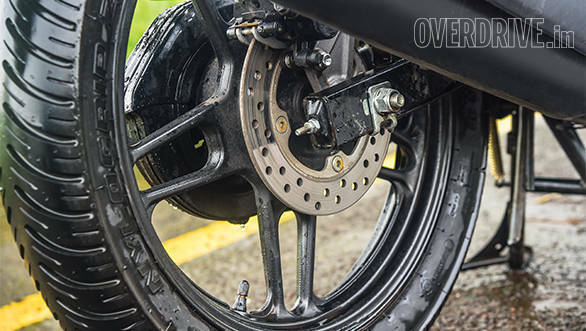 No surprise there  the rear disc is more of marketing utility than an actual braking one in almost every riding situation. 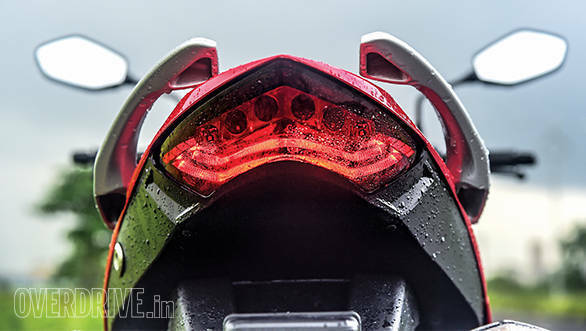 What Hero should have done is update the front disc size to offer more power but with this soft setup, its actual real world utility would be debatable. On paper, the specs could go this way or that. 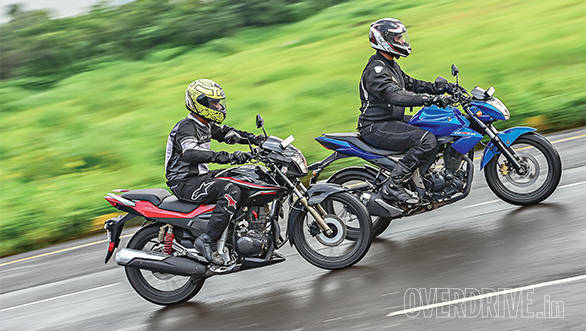 The Xtreme Sports uses the same 149.2cc, ex-Honda motor all Hero 150s have used for the longest time. What has changed is that Hero has raised compression from 9.1:1 to 10:1. This causes a bump up in power and torque to 15.4PS and 13.5Nm from the regular (now discontinued) Xtreme's 14.4PS and 12.8Nm. The Gixxer uses a bigger 154.9cc motor that makes 14.8PS and 14Nm. It also delivers peak power and torque 500 and 1,000rpm earlier, respectively, than the Hero. And here's the kicker  the Suzuki is a massive 12kg lighter. The sense of urgency the Gixxer has when accelerating is just not there in the Xtreme. The numbers confirm this. While the Xtreme Sports takes 6.2s to 60kmph and 25.9s to 100kmph, the Gixxer flies past it with 5.6s and 19.25s respectively. The Hero isn't all too bad to 60kmph, but after that, the torque sort of tapers off. Forget the actual top speeds. The Suzuki enjoys being maxxed out without any stress being expressed. The Hero is 2kmph slower but it cries like a day trader after the markets crash getting there. In fact, like with the Karizma, some of the composure and refinement of the old motor has been lost in the compression bump. At this point, we know where this comparison is headed, right? The Suzuki isn't done. It also returns vastly better economy  6kmpl more in the city, 3kmpl more on the highway and therefore 4.1kmpl, roughly 8 per cent better overall economy than the Hero. So we know that the Gixxer's position at the head of the order is far from being challenged here. But let's look at what it implies for Hero. 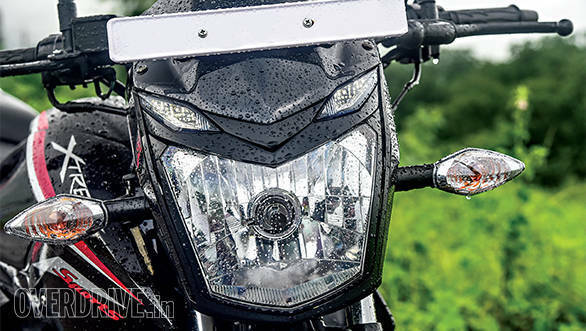 First of all, Hero has chosen to revitalise its 150cc range by adding minor updates to its existing 150cc class platform. 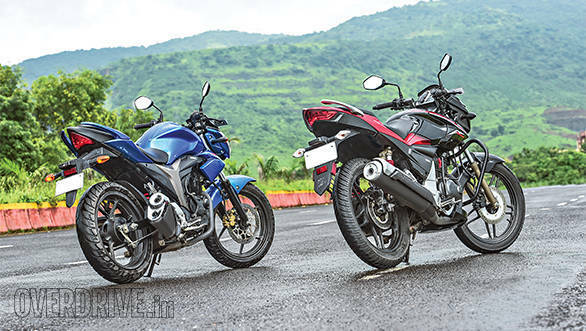 Clearly this is a tough task because everything in the segment  Yamaha FZ v2, Honda CB160 Unicorn, Pulsar AS 150 for instance  is either brand new or nearly new. Hard to fight all-new bikes with updates. It also shows how much harder the 150s are going and how much better the bikes are now. Second, it raises the question as to why Hero adopted this strategy. Does the Xtreme's package now reflect an engineering division than can handle minor engine updates but is still reluctant to attack a full-on chassis upgrade programme? We will never really know. However, it is possible that Hero has a much bigger focus on machines more important to its core volume business  like their forthcoming all-new scooters  and these series of premium segment upgrades are just that. Some stirring of the pot to keep things moving. Until a steaming hot new dish arrives to replace it. Can't wait for that to happen.